TP-Link TL-R480T+ Policy Routing Not Working? Disable Fail over! | Chewie.co.uk - Now with 100% less Wookiee! 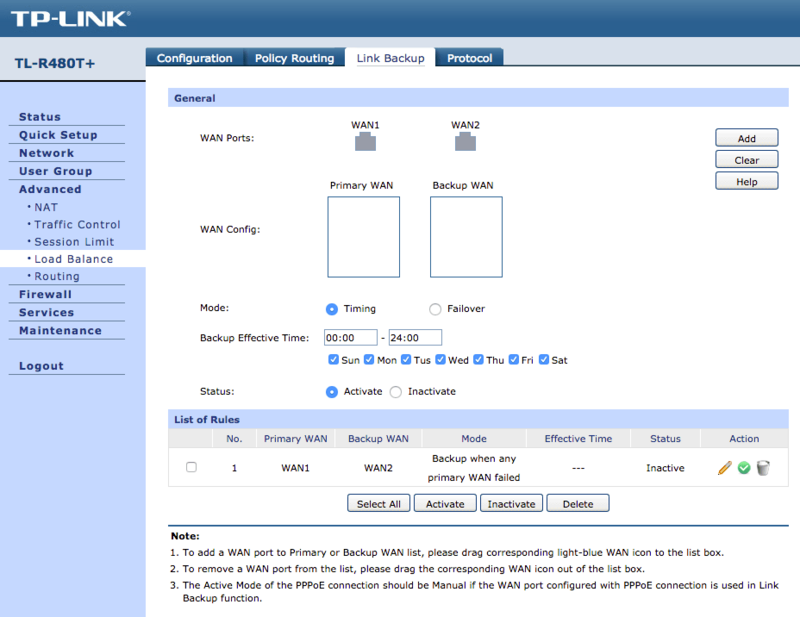 If you are using a TP-Link TL-R480T+ load balancing router and have been adding in Policy Routing rules only to find out that they don’t work, then you need to go into the Link Backup page and disable any fail over settings you have. A bit of a weird one, but it is the case nonetheless.